XBMC has a new name: Kodi. The official change happened last fall, but it's more of an attempt to get away from XBMC's former name-Xbox Media Center-than a reinvention of what's undoubtedly one of the most beloved open-source media players. 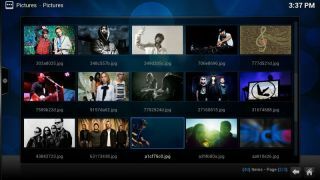 To celebrate the final release of Kodi 14.2 Helix, we've scoured the official add-on repository to bring you a list of the best Kodi add-ons. As a bit of a disclaimer: Be careful with any apps that ask you to sign into your various media-YouTube, Twitch, etc.-accounts directly. Most of the add-ons we've listed below let you authenticate your account through established methods, but some only accept a username and password. Add-ons aren't guaranteed by Kodi-even if they're on the official Kodi repository-so be wary of anything that looks at all questionable. There's no easier way to kick back on your couch and watch the No BS podcast. We'd be remiss if we didn't kick off our list with an add-on that connects Kodi to YouTube and bromix's YouTube add-on does just that, and it's available in Kodi's main add-on repository. It's not the easiest way to find and browse videos, but the add-on does give you couch-side access to all of your subscriptions, playlists, and the usual-Popular Right Now, Live, etc.-YouTube categories. Sometimes a Let's Play and a cold drink is all you need to relax on a Saturday night. Another one of our favorite video add-ons is StateOfTheArt and ccaspers' TwitchTV add-on, which, much like the YouTube app, lets you watch Twitch streams from the comfort of your couch. It's a surprisingly usable way of watching streams and seemed to run perfectly fine on our test setup. Look no further if you're a gamer, eSports fan, or just someone who likes to kill time watching other people play games. Get access to all of your Dropbox media files. Dropbox users rejoice! Thanks to the work of Joost Kop, all of the media files you upload to Dropbox are accessible through the Dbmc (Dropbox add-on). Start up the app and you'll have instant access to your Dropbox folder with all of the music, photos, and videos contained within. This is a great way to get access to your networked content for family get-togethers, parties, or any event where you're trying to share content. The SoundCloud add-on even incorporates a visualizer. SoundCloud isn't our first destination for music, but the Kodi add-on by bromix is one of our favorite add-ons because it's so perfectly suited for Kodi. The app is supremely usable and features a visualizer that incorporates the SoundCloud logo for something to look at while listening to indie jams and remixes. Aside from the gaudy gloss, it's a functional Pandora client. There's really not all that much to say about the Pandora add-on by rivy. If anything, access to Pandora just makes us wish that there was a Spotify client that worked for us. Then again, Pandora is one of the most popular music-streaming solutions and for good reason: It works. The app gives you quick access to all of your stations, the thumb up and thumb down function, as well as the usual playback controls. The UI is a bit dated, but it displays the album artwork along with all the pertinent information about the currently playing song. Did we miss any essential add-ons? Let us know in the comments below!